Holy week is on my mind. I’m a pastor, and next week is the week that we remember Jesus’ procession into Jerusalem, his trial, his death, and his resurrection. It’s kind of a big week in the church world. Last night I decided to watch a bunch of Jesus movies over the next couple of weeks. Why? I don’t really know. How many will I watch? I’m not sure. One a day? Maybe. I’ll watch at least a few before Easter. 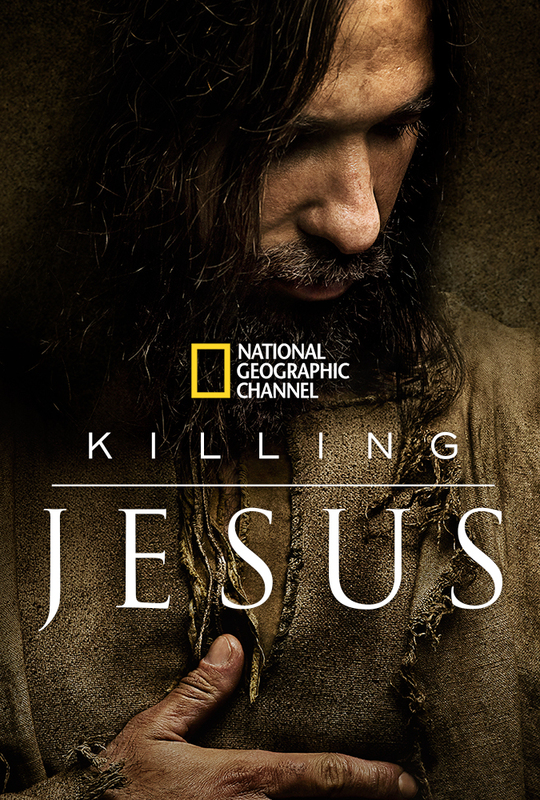 Last night I watched the TV movie adaptation of the book “Killing Jesus” by former Fox News host Bill O’Reilly. I mostly watched it out of curiosity (Plus the movie was available for free online, and I couldn’t sleep last night, and needed something to occupy my attention). 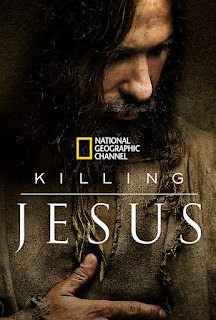 I’ve heard from people who read Killing Jesus that its portrayal of Jesus is a sort-of Tea Party version of Jesus. Apparently this Jesus is very concerned about taxes, and was worthy of honor because of the way he picked himself up by the bootstraps and did what he needed to do. As someone who finds that kind of depiction of Jesus to be not-even-remotely-close to the Jesus of the Gospels, I wanted to see how O’Reilly made this leap. I’ve only watched the movie (I’ll probably never read the book), but I have to say, I didn’t see a Tea Party depiction of Jesus. For the most part, it played out like many other Jesus movies. I read a couple of reviews of the book (1, 2) just to see if there was something I missed, and apparently there is a lot more talk of taxation in the book. This movie had a few scenes in which taxes were collected, but “Tea Party Jesus” was not apparent in the film. So does that mean the film was good? Well…. There actually were some moments that pleasantly surprised me. The high point of the film came for me in the first two minutes. Now when I say “high point,” the scene was horrifying and gruesome and not fun at all to watch. But the way that Killing Jesus depicted Herod the Great’s order to kill all children under two years old was brutal, gut wrenching, and effective. By the end of the scene, you have a great sense of how high Herod rates on the crazy scale, and how far he is willing to go to remain king. That said, the scene ended with an innocent young boy picking up oranges in his house, and hearing commotion outside. A Roman guard steps in and looks at the young boy. The film lingers for a few seconds on the boy’s innocent face, and on the Roman guard’s face. The guard then steps forward and stabs the kid. The way the movie lingered on the boy and his childlike innocence before showing his murder was more than a little gratuitous. And Herod the Great….boy, do we need to talk about Herod the Great. Herod the Great is played by Kelsey Grammar. Frasier is Herod the Great. I could not get over it. Frasier actually plays Herod pretty well. His performance gives a sense of Herod’s paranoia and insanity. Frasier didn’t know what to do with those tossed salads and scrambled eggs. Now he’s become one. That said, Herod’s death scene was embarrassingly bad. Just awful. Absolutely terrible. 1/10. Never make Frasier act out a death scene. He can’t pull it off. Much of the dialogue is terrible, and some of it is simply too on-the-nose. Additionally, the film makes a lot of strange choices in terms of narrative. It seems as though the writers remixed the gospel accounts. When John the Baptist was arrested, Jesus “now knows God’s anger at those who fail him” and feels now that he “comes not to bring peace but a sword.” It’s played out as a revenge scene. Jesus’ speech about Herod and John the Baptist is given in front of the temple and staged as a sort of insurrection. When Judas betrays Jesus, it’s not Judas who seeks out the religious leaders, but them who seek him out. They see his trepidation when Jesus turns over tables in the temple, and they realize they can use him to get to Jesus. Herod’s daughter finally convinces Herod to snuff out Jesus by telling him that she can’t sleep at night. She wakes up with constant night terrors because of the beheading of John the Baptist. She is afraid that Jesus is going to kill her for revenge. Another odd narrative choice was when the woman came to anoint Jesus with perfume. Jesus said “You didn’t just come to anoint me, did you?” The woman replied that she was the cousin of the woman caught in adultery, whom Jesus saved from being stoned. The woman anointing Jesus was sent by her cousin to warn Jesus about the schemes against him. Not only is the familial connection a strange one to make, but it entirely changes the meaning of the anointing story. After betraying Jesus, there is a scene that is over a minute long in which Judas haggles with a goat farmer to buy a rope from him so that he can go hang himself. In the history of filmmaking, there has not been a more unnecessary scene. Finally, when the people enter the tomb and find it empty, they are not afraid or amazed as they are in the gospels. Rather, they all casually smile. Nobody is shocked by the fact that Jesus rose from the dead. Nobody is asking if Jesus’ body was stolen. Nobody is afraid, shocked, scared, traumatized. Nothing. Everyone simply smiles a “That’s our Jesus” smile. Jesus reveals himself to Peter by repeating his “huge catch of fish” miracle while Peter is out at sea. Again, a strange addition to the Jesus story. Overall, this movie baffled me. It played out mostly like a normal Jesus movie, but with a lot of changes that made little sense. In addition, the writing and acting was subpar. Jesus played his part well enough (Peter and Judas were good as well), but many of the side characters overacted the heck out of this film. My major confusion with this film, however, is some of the scene choices that were made. O’Reilly made clear while promoting his book that he was attempting not to write a theological account, but a historical account. However, many historians argue that the slaughter of the children did not occur. The story of the woman caught in adultery is disputed by some (many Bibles mention that earliest manuscripts do not contain that story). And there are many scenes which were clearly invented for the film. With a bounty of stories of Jesus’ life that were ignored in this film, why focus on disputed stories? Doesn’t that play against your argument that you’re writing a historical account? The movie was fine. I never need to see it again.